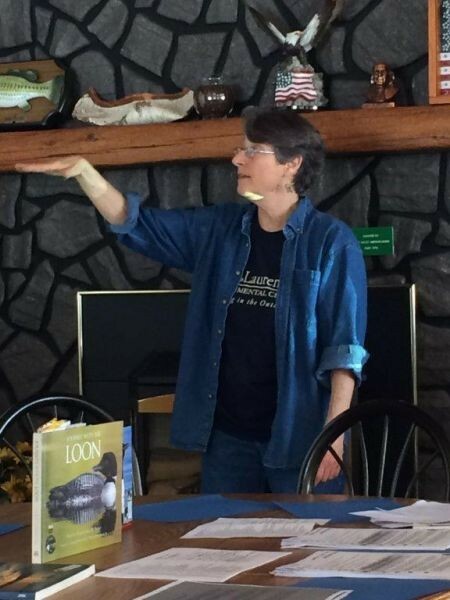 If you were not at WICOLA’s spring meeting on April 6th, you missed a high energy presentation from Sherry Abts on loon behavior, migration, and many other fascinating facts. The 33 members and guests who were at Veterans on the Lake, enjoyed loon calls, photos, and heard about the latest in loon research. Sherry is organizing a local loon monitoring program this summer so check back with the WICOLA’s website for more information on the program as it becomes available. 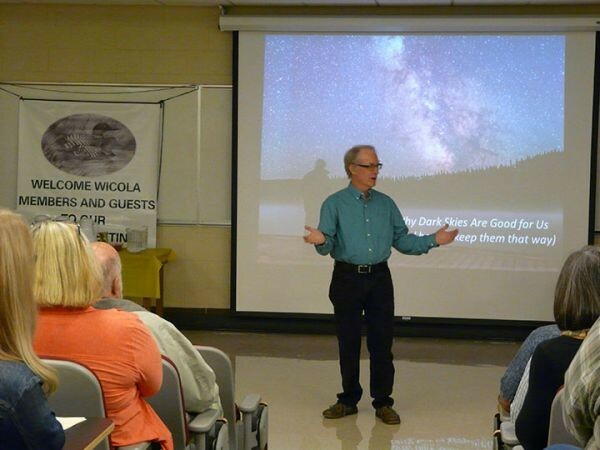 Don’t miss the WICOLA annual meeting, August 1st at the Grand Ely Lodge. Trees help reduce erosion, protect water quality, increase energy conservation, improve wildlife habitat and may increase the value of your property. - Order Deadline: Friday, April 19th, 2019. - Pickup Location: Lake County SWCD office (behind building, in front of garage) 408 First Avenue, Two Harbors. Find a cool, shaded spot of earth next to something you can lean the trees against. Set the roots directly on the ground, wrap the outside of the roots in burlap or an old bath towel, and water multiple times a day. Keep the roots and their wrapping wet, as you do not want the roots to dry out. Do not submerge roots in a bucket of water as they will drown. Concerned citizens will meet with legislators and rally to protect Minnesota's water. Registration is open for Water Action Day 2018! 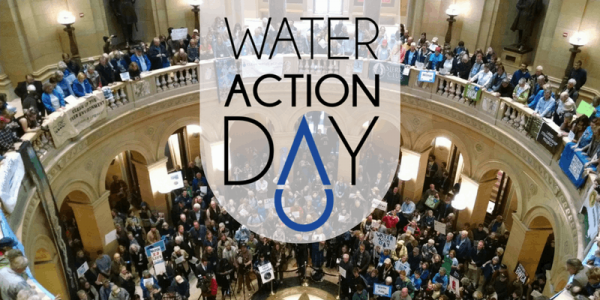 Water Action Day is a day of public action and advocacy to let lawmakers know Minnesotans care about their water. The all-day event will include a free breakfast and briefings in the morning, both on how to actively engage and influence legislators and on the water issues Minnesota faces. Throughout the day, attendees can attend group meetings, meet with legislators to ask them to protect our water, attend important hearings on our bills, participate in a youth summit, and join the Clean Water Rally that will be held in the Capitol Rotunda at 2:00 pm. Sign up today and find out how you can participate! Free breakfast at home base (church basement): 8-10 a.m.
Water film screening (film TBD): 12:30-1:45 p.m.
#ProtectOurWater Rally in the Rotunda: 2 p.m.
Loons could retreat into Canada, leaving Minnesota for good by 2080, if climate change continues to deteriorate the birds’ habitat in the state. Tamarac wildlife biologist Wayne Brininger says climate change has happened gradually for millions of years, and plants and animals have been able to adapt to the slow changes. The problem is that habitats are beginning to change faster as climate change happens faster, and the flora and fauna can’t keep up. According to the Minnesota Department of Natural Resources website, the state just keeps getting warmer and is receiving more precipitation. This precipitation seems to come in “hundred year flood events” and then completely stops, causing flooding and then drought, neither of which are friendly to area wildlife. Minnesota’s average temperatures have warmed 2.9 degrees (Fahrenheit) between 1895 and 2017 and the state now gets an average of 3.4 more inches of precipitation, though the most dramatic changes have happened in the last several decades and are expected to continue. Rob Baden, Detroit Lakes DNR wildlife manager, says many studies are showing that the state is experiencing more extreme precipitation events and droughts, as well as winter freeze-thaw patterns. He says numerous species in the area, including deer, walleyes, ticks, turkeys, pheasants, snowshoe hares, and others as well as a number of plant species, could be affected by these changes. As the first major snows of the season arrive, Minnesotans are thinking about clearing snow and ice from pavement — sometimes with salt. But when the snow melts, de-icing salt, which contains chloride, runs into nearby bodies of water and harms aquatic wildlife. The Minnesota Pollution Control Agency (MPCA) recommends a low-salt diet for our lakes, streams, and rivers. Much like table salt, rock salt’s benefits are peppered with danger. Chloride accumulates in the water over time, and there’s no feasible way to treat or remove it. It only takes a teaspoon of salt to permanently pollute five gallons of water. To date, the MPCA has found Forty-seven bodies of water in Minnesota that have tested above the standard for chloride. Though no environmentally safe, effective, and inexpensive alternatives to salt are yet available, smart salting strategies can help reduce chloride pollution in state waters, while saving money and limiting salt damage. You might think more salt means more melting and safer conditions, but it’s not true! Salt will effectively remove snow and ice if it’s scattered so that the salt grains are about three inches apart. A coffee mug full of salt (about 12 ounces) is all you need for a 20-foot driveway or 10 sidewalk squares (roughly 1,000 square feet). Shovel. The more snow and ice you remove manually, the less salt you will have to use and the more effective it can be. 15 degrees (F) is too cold for salt. Most salts stop working at this temperature. Use sand instead for traction, but remember that sand does not melt ice. Apply less. More salt does not mean more melting. Use less than four pounds of salt per 1,000 square feet. One pound of salt is approximately a heaping 12-ounce coffee mug. Leave about a three-inch space between granules. Consider purchasing a hand-held spreader to help you apply a consistent amount. Hire a certified Smart Salting contractor. Visit the MPCA web site for a list of winter maintenance professionals specifically trained in limiting salt use. Act locally. Support local and state winter maintenance crews in their efforts to reduce their salt use. Promote smart salting. Work together with local government, businesses, schools, churches, and nonprofits to find ways to reduce salt use in your community. 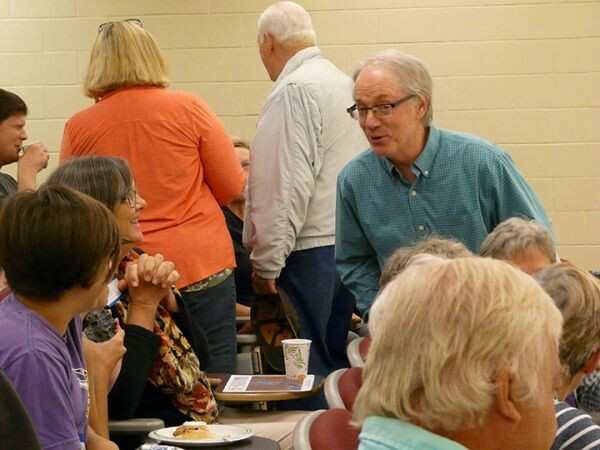 Learn more on the MPCA's website. We hope that you will renew your WICOLA membership or join WICOLA as a new member to be part of our active lake association and help us accomplish our many goals. If you have already submitted your membership for 2019, THANK YOU. Belonging to WICOLA gives you the opportunity to participate in helping to secure a healthy future for our lakes. Your renewal / new membership and any additional donations assure the continued ability of our organization to be a respected and active voice for healthy water in the Rainy River Watershed. Or Just Click on the Membership Tab above, “Membership-Online”. Several WICOLA Board members report Lake Ice Observations to the Minnesota DNR. Their observations will occasionally be posted here as a reference to WICOLA members. Remember, there really is no sure answer as to when Ice is safe. You can't judge the strength of ice just by its appearance, age, thickness, temperature, or whether or not the ice is covered with snow. Strength is based on all these factors -- plus the depth of water under the ice, size of the water body, currents, water chemistry, movement of fish, and the distribution of the load on the ice. On November 9th, ice began forming along the shore, especially in protected bays. The South end of White Iron mimicked Farm and Garden Lakes with a thin layer of ice on November 10th. However the North End of White Iron continued to remain open until November 14th when Ice In was declared. Garden Lake was covered with a thin layer of ice on the morning of November 10th, even where the current of the Kawishiwi River runs in front of Deer Ridge Resort. There was sufficient ice to declare Ice In. Farm Lake was also showing signs of a thin layer of ice on the morning of November 10th. However Ice In was not declared for Farm Lake until 11/14 when it became impossible to navigate a boat from shore to shore. WANT TO HELP LOONS, FISH, & OTHER BIRD SPECIES? Want to help Minnesota attract some Deep-Water Horizon Oil Spill" remediation" funding? Carrol Henderson (MN DNR) has crafted & submitted a very comprehensive proposal. Please support the full proposal as written. It includes documentation that "our" loons migrate in large numbers to the Gulf each winter. It also includes strong citizen participation / lake associations in assisting with enhancement of loon breeding / nesting habitats. And it contains efforts to get lead sinkers out of circulation with lead poisoning as key element in loon mortality. The Minnesota Department of Natural Resources is reminding lake property owners to carefully check boats and trailers, docks and lifts, and all other water-related equipment for invasive species when closing cabins for winter. Several AIS confirmations were initially reported by people making end of season inspections of docks, boats and boat lifts. “A few simple steps now can help prevent the spread of zebra mussels and other aquatic invasive species” says the Minnesota DNR. When removing docks, lifts, or other water-related equipment from lakes and rivers, carefully inspect everything to make sure there are no aquatic invasive species (AIS) such as Zebra mussels, Eurasian watermilfoil, or New Zealand mud snails. Look on the posts, wheels and underwater support bars of docks and lifts, as well as any parts of boats, pontoons and rafts that may have been submerged in water for an extended period. Hire DNR-permitted lake service provider businesses to install or remove boats, docks, lifts and other water-related equipment. These businesses have attended training on Minnesota’s aquatic invasive species laws and many have experience identifying and removing invasive species. For additional information, resources, and links on AIS, click on the “Educational Tab” on the WICOLA Homepage and then “Aquatic Invasive Species”. Did you know there are over 40 lake associations in the Rainy Lake of the Woods Watershed – some in Canada, some in the United States? 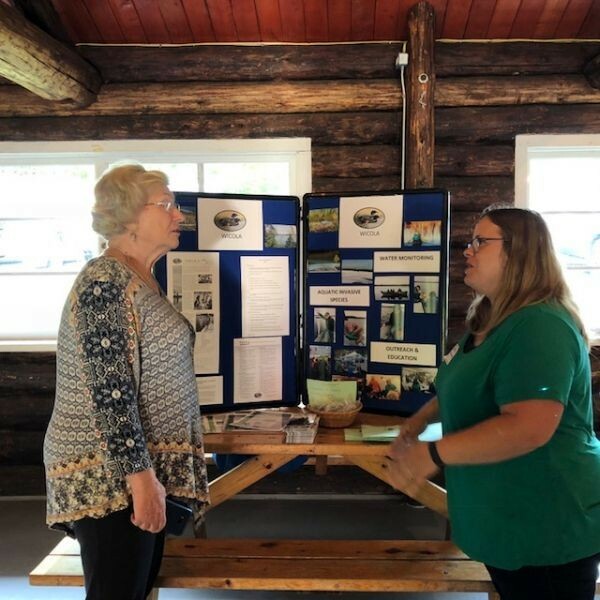 On Tuesday, Sept. 11, 2018 the 2nd Binational Lake Association Networking Event was held so watershed associations could learn from their neighbors more information about their successes, programs, membership engagement and more. WICOLA members Teresa Sagen, Dolores Delaney and Charlene Mason represented WICOLA at this event in Ft. Francis, Canada. Guest Speakers included Jeff Forester, Executive Director, Minnesota Lakes and Rivers Advocates and Todd Sellers, Executive Director, Lake of the Woods Water Sustainability Foundation. Over 225 volunteers across the state turned out on Saturday, August 18 to participate in Starry Trek, a statewide search for starry stonewort that was organized by the Minnesota Aquatic Invasive Species Research Center (MAISRC) and University of Minnesota Extension in partnership with Minnesota Department of Natural Resources. Here in Lake and St. Louis Counties, 2 volunteers participated. After being trained to identify starry stonewort and other aquatic invasive species, volunteers fanned out and checked 2 lakes in the Ely area. After volunteers searched over 225 public accesses on 187 water bodies statewide, the Minnesota Department of Natural Resources (DNR) confirmed the invasive algae starry stonewort in Wolf Lake in Hubbard County. 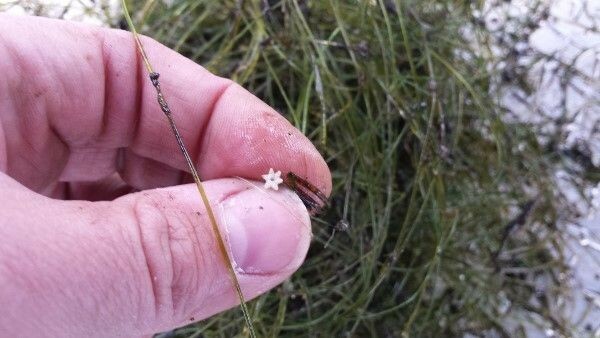 This is the third new confirmation of starry stonewort in a Minnesota lake in 2018. Volunteers also discovered a new zebra mussel infestation in Lake Isabelle in Dakota County. No new aquatic invasive species were found in lakes and rivers searched in Lake County. The lakes that were searched had been prioritized as potentially high-risk for a starry stonewort infestation based on a model created by MAISRC researchers along with local use information from Starry Trek local coordinators. Starry stonewort is an invasive algae that was first found in Lake Koronis in 2015 and has since been found in 14 Minnesota lakes, including Wolf Lake. Research into control options is ongoing at the Minnesota Aquatic Invasive Species Research Center. Starry stonewort can grow tall and dense, forming mats on the surface that interfere with recreation and potentially displacing native plant species. The Minnesota Aquatic Invasive Species Research Center works across the state to develop research-based solutions that can reduce the impacts of aquatic invasive species in Minnesota by preventing spread, controlling populations, and managing ecosystems; and to advance knowledge to inspire action by others. A portion of the funding for this program is provided by the Environment and Natural Resources Trust Fund. Learn more at www.maisrc.umn.edu. Posted August 22, 2018 on The Quetico Superior Foundation website. While a new copper-nickel mine near the Boundary Waters could cause a temporary growth in jobs in the Ely area, the benefits would eventually be outweighed by the harm done to the recreation and tourism industry, and the region’s ability to draw new residents. That is according to a study conducted by a Harvard economist and graduate student. The pair conducted the work on their own, without compensation. They say their report is unique in looking two decades ahead under the dueling scenarios of an operational Twin Metals mine along the South Kawishiwi River, or if mining is blocked. To produce their forecast, the economists ran a model 72 times comparing the scenarios. To come up with conservative estimates, the model excluded many economic benefits of the Boundary Waters. Commenting on the Forest Service’s proposed 20-year prohibition on mining in the wilderness watershed, the report’s authors said it would have a greater economic benefit than letting mining happen. Lead author Dr. James Stock is a member of the faculty at the Harvard Kennedy School. He served on President Obama’s Council of Economic Advisers from 2013-2014. The authors sent their report to Superior National Forest supervisor Connie Cummins earlier this month for consideration in the agency’s decision about the proposed moratorium. A narrower study released last year by the Friends of the Boundary Waters Wilderness, based on surveys of spending by wilderness visitors, estimated the Boundary Waters produced $78 million of economic input in northeastern Minnesota in 2016. WICOLA has now made it easier for existing members to renew their membership and for new members to join WICOLA and pay their annual dues. There are now 2 ways to join. On the WICOLA website, under the “Membership” tab, there are now 3 menu options. With the new online option, once the application form is completed, the member presses “select” and will be directed to PayPal to pay your membership dues. Payment on PayPal can be made with a Credit Card or member PayPal account. The member will receive an e-mail confirmation from WICOLA confirming their application as well as confirmation of payment from PayPal. As a reminder regarding security, the WICOLA website is also now secured with an SSL certificate / encrypted data transmission. Note the padlock symbol next to the WICOLA web address. Also, no member data is stored on the WICOLA website. PayPal also provides a secure website and transaction. Come by the WICOLA Booth (#172) to visit, check out the AIS (Aquatic Invasive Species) materials, and enter the “guess the number of Rusty Crayfish” contest to win a special prize. WICOLA members and representatives from partner organizations will be at the booth to answer questions, to provide updates on AIS in Northern MN and to share AIS prevention information. Additional Training Date for Citizen Sentries has been scheduled! The White Iron Chain of Lakes Association’s Aquatic Invasive Species (AIS) focus this summer is to train and develop more volunteer “Sentries” to monitor AIS across our chain of lakes. By each of us keeping our eyes on the condition of our little corners of the lake, we can have a big impact on the prevention of AIS. If you see something unusual in the lake, we have a process for confirming your findings and reporting it to the DNR for immediate action. The faster we identify an infestation, the quicker we can respond to keep it localized or to eliminate it. Early detection techniques and how to communicate potential sightings. Saturday, July 21st. Sentry Volunteers will meet at the Kawishiwi Ranger District at 9:30am and then head over to Farm Lake for Training. If you missed the June Training Session, make sure to attend the July Citizen Sentry Training! Many lake property owners may wonder what permits are needed to do certain alteration activities on their lakeshore. According to the Minnesota DNR, work that is proposed below the ordinary high water level (OHWL) of public waters and public waters wetlands may require a DNR public waters work permit, and should be coordinated through the DNR area hydrologist representing the area where the work is being proposed. 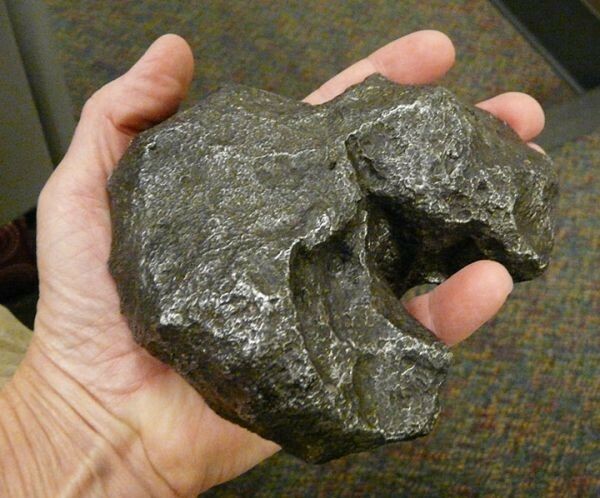 Examples of activities include excavating rocks and material or providing fill. In addition, local units of government, watershed districts, water management organizations, or conservation districts regulate activities both above and below the OHWL of a water body or watercourse. You should contact your local unit of government, who administer ordinances regulating shoreland areas. Also, if your proposal involves work on the upland portion of a riparian (river) property, you should contact your local unit of government, who administer ordinances regulating floodplains and shoreland areas. Filling, grading, or excavating on shoreland property requires a land alteration permit if the activity exceeds certain limits. Any alteration of the natural topography located within the shore impact zone or within 50 feet of the shore, whichever is more restrictive. Any alteration of natural topography, located outside the shore impact zone or bluff impact zone that exceeds 50 cubic yards of material. Shoreline riprap projects that do not follow DNR permit requirements or do not comply with state rules for shoreline alterations. 1) Under 10 cubic yards of material disturbed - no permit required. 2) Ten to 50 cubic yards of material disturbed - Land Use Permit required. In addition to grading and filling requirements above, the Commissioner of Natural Resources must issue a permit for work in the beds of public waters under Minnesota Statutes 103G.245. Important: This article is not intended to be a definitive guide on permit requirements. Rather it is intended to offer some basic insight into permits and to demonstrate that permits are required for some basic shoreline alteration. Permits are designed to protect our lakes and the lifestyle they provide. Permits are “tools” to sustain and enhance our lakes and shorelines so that residents and visitors can enjoy. Permits and Approvals may be required from federal, state, and local units of government, including the U.S. Army Corps of Engineers, watershed districts, water management organizations, counties, townships, and cities. Join us for a day searching for one of Minnesota's newest aquatic invasive species, starry stonewort (and other AIS). Starry stonewort is an invasive algae that was first found in Lake Koronis in 2015 and has since spread to 11 Minnesota lakes. Now we are asking for your help in searching other lakes to better understand its distribution in Minnesota. You can learn more about starry stonewort at; https://www.maisrc.umn.edu/starry-stonewort as well as a February 23 2017 Latest News Post. 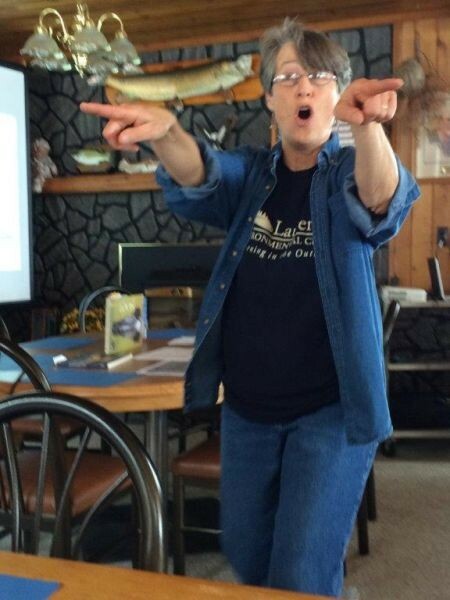 You will be teaming up with volunteers across the state as well as volunteers in Wisconsin participating in a sister event (AIS Snapshot Day) to help in the early detection of aquatic invasive species. As a result of a discovery in Grand Lake (Stearns County) last year, the local lake association and MN DNR teamed up in a rapid response plan to remove the small patch of starry stonewort. Starry Trek will take place on August 18th and rendezvous at Semer’s Park/Shagawa Beach. All participants get a tote bag & rake.